This is Rockinsticks and welcome to Weekend Report. In our top story this week the Headmistress snuck out of her shackles office and issued the call for all Hogwarts students to show another side of themselves. The dungeon walls began to ooze metaphor as Slytherins began to draw parallels between the boy-who-is-slightly-overrated and the-boy-from-Tatooine. One snake was quoted as saying, "Darth Vader and Lord Voldemort walk into a bar. Sauron turns to them and says, 'Pesky short orphans!'" As of this writing two projects have been submitted. First in was the illustrious Maigret who found parallels between two hotties with large noses (you know what they say). And between stone angels and those angles of desolation, the dementors. And 01Tangled reminded us that diamonds might be a girls best friend, but make sure you know their origins be it Mount Doom the Cottage of Slytherin. Weather: Mohair is to sweaters as fog is to driving. In other Stories, OWL on the half shell. Slytherins continue to rock the half OWL mark. 37 of you have ripped at least one wing off that nasty bird. That's 1850 points for us with 5 days to go. So drop that Horcurx and get back to your OWL. We will bring the cup back to the noble Casa de Slytherin and sponge bathe the hotties out of it. Forgivable Curse of the Week: Pull your head out of your bottom whorl! And from the Sub-Human Interest Desk, - I am lazy, but kindhearted. Many of you know that our lovely DrusillaWormwood has been fighting her way through a particularly nasty dark wizard known only as Sir Jerry. As I stood in the Father's day card aisle last week I was thinking how great it would be if all the Slytherins signed a get well card for her. Knowing that by the time it circulated the globe for signature we'd likely all be dead, I've decided to try something tricky - if not lazy. Dru brings a lot of humor to the dungeon and I would like to return the favor. If all Slytherins interested will PM me a joke by July 15th I will hand print them all with your names on a ginormous card and mail it off to the lovely Ms. Wormwood. So that's it. Just send me a joke and with any luck we can help her giggle a bit. It can be a one liner, something you got from a waitress, or whatever happenend to be on your laffy taffy wrapper. Oh and the best thing is - no PG-13 line and I am extraordinarily hard to offend (with the exception of racial slurs - don't do it, you won't be included if that is your taste). This is Rockinsticks saying squeeze that OWL to 50%, snakes were made for squeezing after all. I'm Rockinsticks and this is sort of weekend report. In our top secret story, blog pulls it together. After much focusing on homework the blog staff regrouped and will be shifting the scheduled reporting. Wednesday saw the resurrection of the ever popular snake stalking feature brought to you my the lovely Ms. ElfLiberator. It is highly suspected that Fridays will now be the domain of Mistress RobynRenee and Mondays may just bring dispatches from the amazing Ms. Fibreaddict. Weekend Report will finally be, well, on the weekends waking you bright and early on Saturday mornings with something to lighten your mood and clear your hang over. Speaking of hang overs, I've compiled another list of recommended beverage recipes inspired by the classwork that inspires all of us. Again, if you cross the age line prematurely you will grow hair in unwaxable places of a length that no capri pants can cover. Just like an Irish coffee. Wait till it has cooled a bit. Drink all in one move. Adjust to taste. Stir em all together and enjoy! Roll rim of glass in additional Tang sugar (optional). Shake ingredients in a shaker with ice. Strain and serve in cocktail glasses. Pour into an 8 oz. Hello Kitty plastic tumbler that may or may not have contained toothbrushes recently. Place fluffy bathrobe about shoulders and waist. Pretend to be suave and debonair while lounging on the chaise looking at the moon. Have a great week my sinuous sisters and get your OWL to 50%! Nosy Reporter: You've been a First-Year Slytherin for a month now. How do you think your perception of the House has changed since you were a NQFY, if at all? Seashelly: Oh, it has changed. As a NQFY, I didn’t really want to be Slytherin, but in the end when it came time for sorting, I couldn’t decide, so I let the hat decide. Never realized I had a bad/evil side before and have been having a blast here in Slytherin. I want Slytherin to Win the Quidditch and House Cups! LambChop00: I became a NQFY the end of March - managing to get in 3 classes. This first month has been soo much more than I thought it would be. I’ve completed a lot more projects than I thought I could, plus met soo many wonderful folks. The Slytherin humor and enthusiasm is infectious. I love how encouraging, supportive and inspirational everyone is. It is amazing to me that it’s only been a month. jesseknits: Playing as NQFY I was and felt relatively involved, but now actively Slytherin, I feel like I’m part of something… snakey unity if you will - a family. I’m also ever more focused and have a much sharper eye on the mechanism as well - suddenly everything I knit matters and has more purpose and I have a stronger sense of pride in my output. clanMac: I honestly can’t believe it’s been a month! I was nervous - honestly I was scared of the Snakes and was worried I would feel stoopid. The snakes …. well …. they tossed taunts, hotties and guinness. Effortlessly. All while knitting beautiful things! But I was made to feel welcome -- even my excessive use of exclamation points has been accepted (!!!!! ), along with my tendancy to squee and be a little too enthusiastic about quidditch. The snakes are much friendlier than I expected, as compassionate as I thought, and as fun as I had hoped. Nosy Reporter: How difficult has it been for you to keep up with everything that’s going on in the whole wide House Cup? Seashelly: Very. I want to do everything, but since I work two jobs, it’s been hard to just pare down to the basics, one class, one owl, and then if extra time, go for the extras. Thank Bob work hasn’t blocked ravelry, so at least during my lunch and breaks, I can try to keep up with the posts and threads. LambChop00: LoL I’m supposed to keep up with things? It was overwhelming at first, but now I have certain threads I look at more than others. I spend a lot of time in the Snake Pit. Quidditch thread when thats going (which is often). Class threads when I need inspiration. OWL Along thread is very encouraging too. jesseknits: Sometimes I get behind… but mostly it is because there is SO MUCH community here that it can be hard to source answers to questions that have already been asked without in fact having to ask again. Fortunately we are all very generous and helpful and are willing to guide each other and answer the same question a hundred more times if it means helping someone out. Nosy Reporter: Are there any other groups on Ravelry that you are quite as involved in? 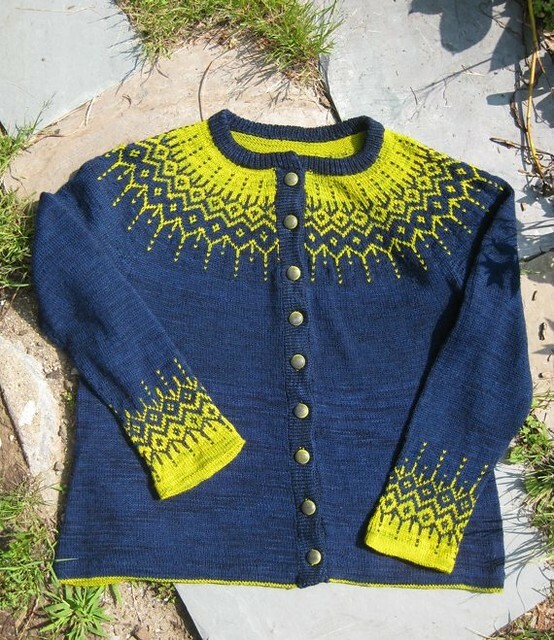 Seashelly: StashDown - my first home in Ravelry, and last year, Tour de Fleece. There are a couple other smaller groups that I check once in awhile -for the various festivals for the current year’s info. LambChop00: I’m in Village Hopelessly Overcommitted and actually became a mod shortly before joining the Cup. It is thankfully a much quieter group than the Cup. jesseknits: I’m not involved in ANYTHING besides breathing and knitting as much as I am HPKCHC. No Ravelry group even comes close. clanMac: I am in Nerd Wars (team DA ftw!) but I don’t spend as much time there as I do here. Nosy Reporter: [hiccup] ::signals bar tender for more drinks:: What has been the biggest surprise for you as a first year? Seashelly: Well, after being a NQFY, there aren’t many surprises. Though Quidditch has turned out to be way more fun than last term. LambChop00: The amazing creativity and inspiration of the Slytherin House. Cooties, the Fugly Hats, it goes on and on. 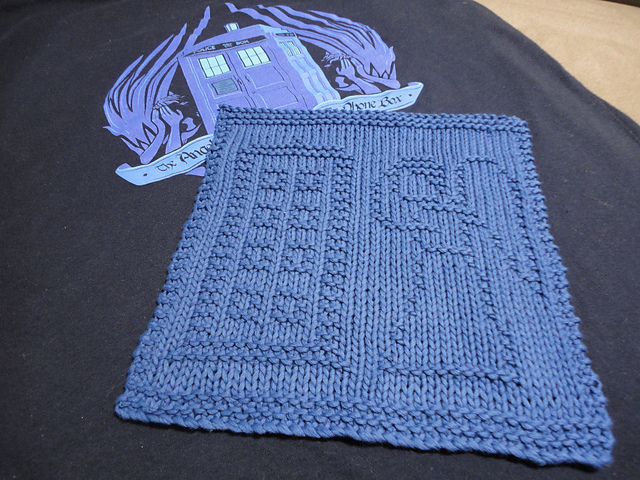 jesseknits: My biggest surprise has been how easy it has been to make a sizeable impact (pointwise) in my house. I never believed I’d turn in 6 Classes, 3 Quaffles, Detention and be working on an OWL straight out of the gate. Actually qualifying for points was amazing for my ambition. 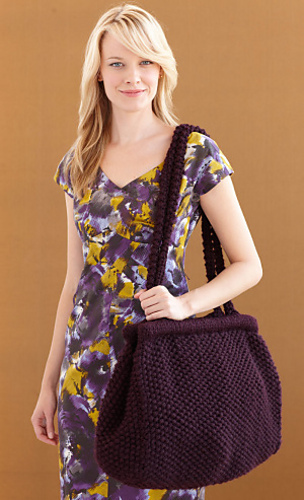 clanMac: What always surprises me is the sheer amount of knitting I get done! holy cow! At least 3 things each month, sometimes more…. this group is beyond fabulous for motivating you to complete projects. And try new techniques. Double-knitting was my new technique last month, and because I was moderately successful, I’m now planning on conquering entralac. Nothing can stop me! w00t! Nosy Reporter: How do you describe or explain Slytherin, the House Cup, and Ravelry to your non-crafting friends and family members? Seashelly: Well, most of my family and friends know about or have read Harry Potter. They don’t really understand, but when they see what I’ve produced since joining ravelry, all the new patterns, etc. They just look the other way. Most don’t really know about the House Cup - yet, but wait until this christmas! LambChop00: I try not to. DH finds Ravelry interesting from the social networking side of things. He is happy that I am enjoying Slytherins and House Cup. My boys were shocked about my being sorted Slytherin, so this has been a good education for them on not judging things by the cover (or how they appear in canon). Slytherins are sooo awesome. jesseknits: I usually start by telling them I’m part of an amazing group. I gush on and on about how wonderful, understanding, supportive, fun, funny and awesome my housemates (and others) are, how indepth the game is, how wonderful the enthusiasm and attention to detail is and how thought provoking and creative energy stirring this experience has been for me. Then I scream - its FUN and FREE, WHY aren’t you doing this… here, let me help you sign up… then I smack their mouse out of their hand and take over their keyboards and have even been known to throw spells and curses to prevent them from sputtering arguments or utterances of resistance. I often also mention my gratitude for HPKCHC on my blog and include how my new patterns and designs were inspired by homework assignments. clanMac: Usually folks just ask me what I’m knitting, and not so much why, so the subject doesn’t often come up. However, my close friends have noticed a difference (“why do you always have yarn in your purse now? !”) and I explain to them that I’ve found a group of like-minded snarky knitters who enjoy a good ball of wool as much as I do and are not afraid to make jokes about woolly balls. 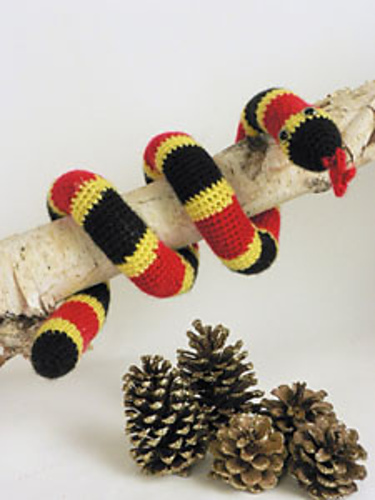 And that thanks to them, I am much more courageous, much more successful, and happier with my knitted projects. And my computer screen is always dirty from the number of times I have spewed tea/guinness/diet coke on it from laughing too hard. Nosy Reporter (who does not have cooties in her stash, btw): Be honest now, has your stash become infested with cooties since you joined the dungeon? Seashelly: I have cats. They eat cooties. Enough said? Meowr! ::purring from the cats. LambChop00: Yes and I love it! clanMac: I have no idea, I have not seen the bottom of my stash for eons. The top layers appear to be cootie-free. Although …. hmmm….. I seem to be missing more and more DPNs ….. uh-oh. Nosy Reporter staggers over to the bar to order another round to thank these lovely snakies for allowing her to pry into their busy lives! Next week: Round 2 of Firstie Snake-Stalking? Welcome to another edition of Weekend Report. This week saw the opening of the June homework season. Few snakes noticed because they were consumed with making puppets. Care of Magical Creatures: How about this giant "cauldron" at 424 yards? Herbology: Just a hunch, but don't you think if Luna had been sorted into Slytherin she would have worn this guy as a bracelet? Transfiguration: Break out the scissors and whack away at this lovely yoke. At 2900 - 3800 yards !!!! History of Magic: Well, I'd transform the triwizard champions into babies, then I'd make them struggle their way out of the bodysuit of destiny...with a wet diaper. Yeah, that's it, 700 yards of hell. 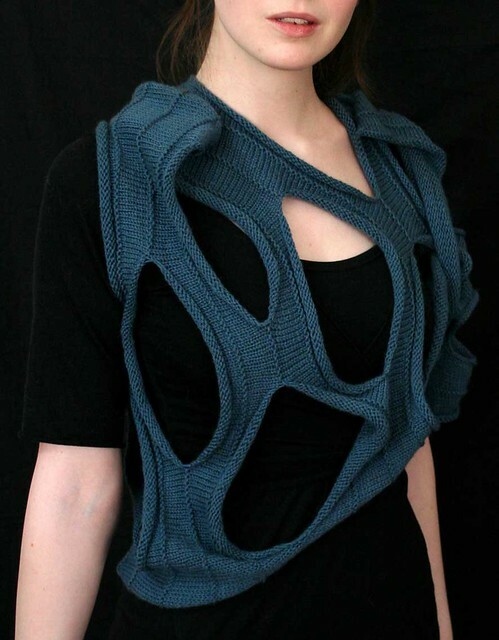 Divination: So, you really have to go to the project page to appreciate the multiple ways you can wear this piece. It's really just a rectangular wrap with a bunch of hole in it and at 787 yards no one would punch a hole in our lead. 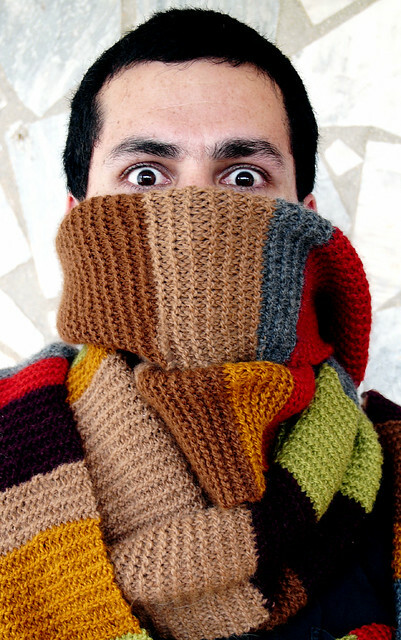 DADA: I can think of nothing more dull to knit than an original series Dr. Who scarf. Oh, and it would be good for binding an, ahem, opponent too. 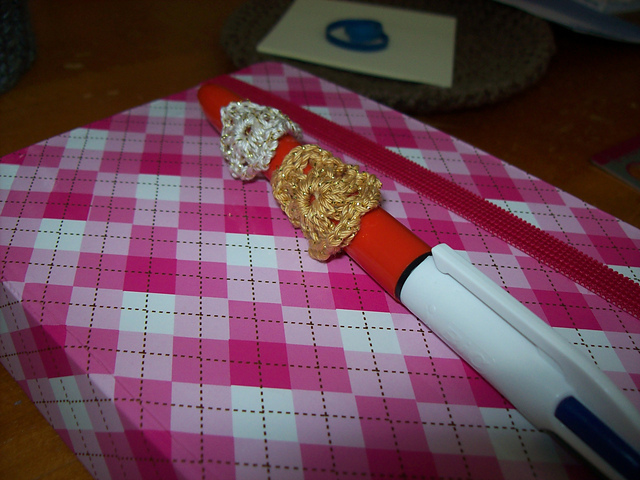 ﻿Charms: Here is your chance to work up that thousand yard lace weight whatsit you've wanted to make forever. This is Rockinsticks saying, back away from the puppet pals and get crafting.